In February 2018, we added hundreds of new products to our wall coverings range, across MagFlex®, FerroFlex®, SteelFlex®, NeoFlex®, PrintFlex®, FerroPaint® and accessories! Each range offers something unique that can be used in various different ways for endless customer applications. Most recently, our customer, Louise, sent in some images of her Interactive Interiors magnetic wallpaper collection, where she uses our MagFlex® 620mm Wide Flexible Magnetic Sheets with 3M Self Adhesive to bring her creation to life! Louise started by applying the MagFlex® sheets to the wall using strong 3M self-adhesive. Our MagFlex® sheets utilise the firm acrylic pressure-sensitive adhesive that substantially increases in bond strength with natural aging. 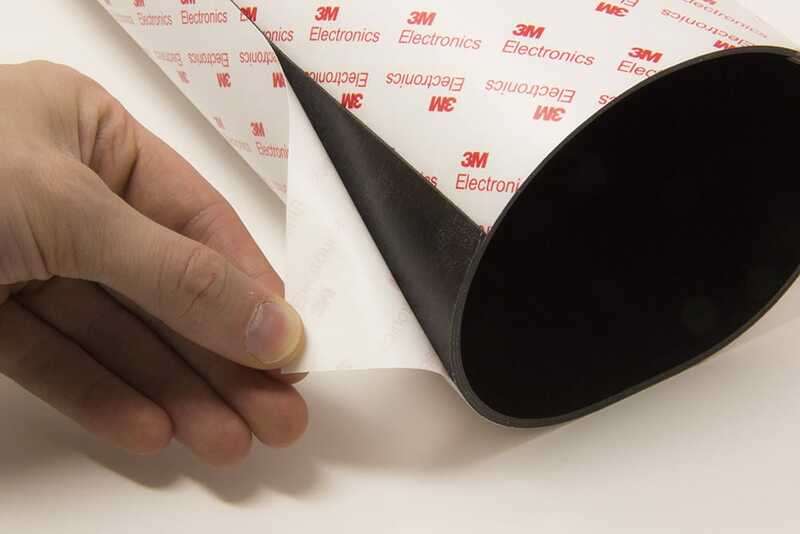 To apply, simply peel away the protective paper to reveal the adhesive side and ease it onto your surface. While the initial touch bond strength is enough to keep the grip secure, to ensure the adhesive can withstand the pull strength we recommend allowing between 24 to 32 hours for the adhesive to fully cure. With the sheet in place, it is time to get creative! MagFlex® sheets are extremely versatile and easily cut to your desired size and shape. This means you can print your design onto paper, apply it to a MagFlex® sheet and cut it out. Louise did just that with her flower and butterfly creations. In the middle image, you can see a MagFlex® self-adhesive strip holding various creations! Once everything is designed and created, you can interact with your magnetic wall. See the video below which shows the customer’s application in action. Because our self-adhesive, flexible MagFlex® sheets are easily cut to size with scissors it makes their creative uses endless. 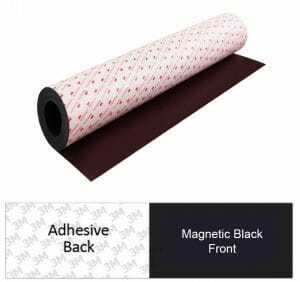 Whether you are a craft enthusiast, want to create your own signs or want to make your artwork or photos magnetic you will find our magnetic sheets really useful. Because they are much less powerful than ‘hard’ Neodymium magnets they are much easier to handle and work with. Thank you for taking time to view our customer application. If you have a application you would like to see, or you have used our magnets and in a project that could help others, please contact us at sales@magnetexpert.com, we would love to hear from you!